Mizar is specifically designed to overcome short lifting heights (1800 mm). 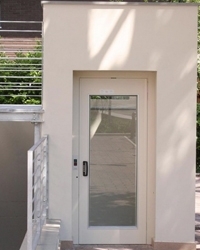 This vertical platform lift is available in a "Ready to be delivered" configuration that features standard platform sizes and cabin finishes. Mizar is ideal for creating "barriers free" buildings.